Tesla Powerwall is a home Battery Storage system that is charged by electricity generated from solar panels, and powers your home in the evening. Automated, compact and simple to install, Tesla Powerwall enables you to maximise self-consumption of solar power generation. Tesla Powerwall systems saves excess energy from your Solar PV system to a 13.5kW battery, and when the sun goes down prioritises using the electricity stored in the battery over the grid. Once the battery has been depleted the system will automatically switch to using electricity from the grid. Tesla Powerwall uses the same battery technology found in their high performance cars. This battery technology has been tried and tested, and is the most advanced in the industry. Tesla Powerwall gives you 13.5kWh of usable stored energy when it is fully charged. When you compare battery systems you should always compare the usable energy and ignore total capacity claims and depth of discharge. The maximum discharge of the Tesla Powerwall is 3.68kW or 5kW which means that you can run several high power devices in your home at the same time without having to use power from the grid, unlike other battery system that are available. 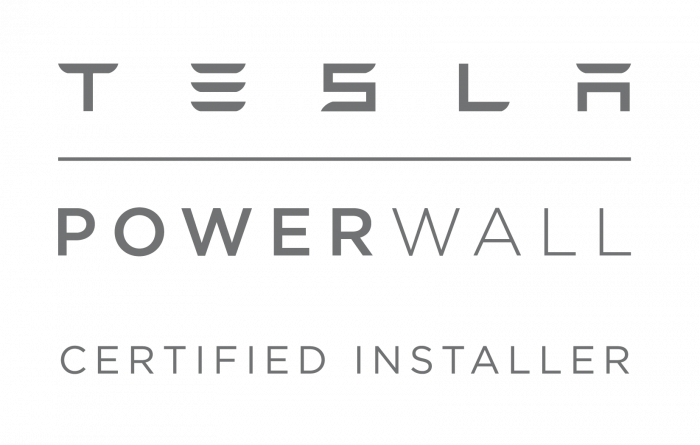 EnergyMyWay are proud to be one of the few renewable energy installers in the UK who are authorised to install the Tesla Powerwall. Tesla have a strict accreditation process to ensure their installation partners are competent and reputable. Unfortunately, in the industry there are some installers who make false claims about the benefits of Battery Storage systems, so if you are interested in Battery Storage please use a reputable installer. At current electricity prices Battery Storage systems in the UK will not pay for themselves purely on your electricity bill savings alone. Solar PV Battery Storage systems work with all solar PV panels. If you have an existing Solar PV array there are battery backup solutions which may not involve changing your inverter. If your Solar PV array is not yet installed, we would recommend installing your panels with an inverter that integrates a battery management system. Our local experts are qualified to advise you on the complete range of renewable energy products. We’re an established company with a first class reputation, recommended by 99% of our customers. We design and install renewable energy systems to the highest quality standards, giving you long-term confidence and the greatest financial returns.